I was recently asked if I wanted to review something from GetTheLabel website. I had a look and I came across some shoes for the girls, so I said yes. 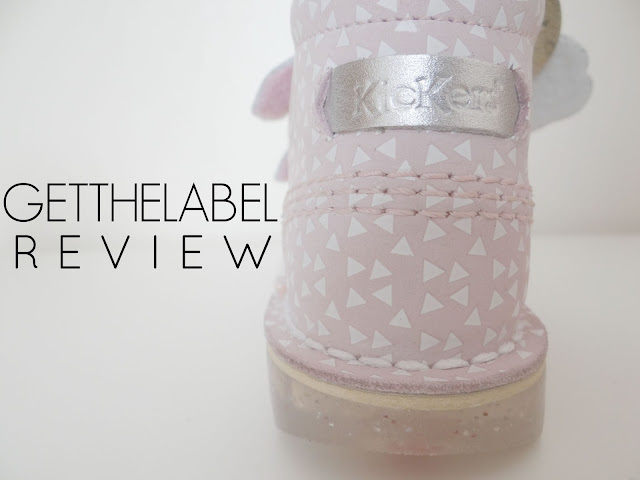 I have always wanted a pair of Kickers for the girls and I thought they would look perfect for Elliw. I got these gorgeous Kickers leather boots which has a gorgeous shade a pink white white traingles. I am so glad I chose them for her. The sole of the shoes are super strong and you can tell they will last a long time. They have a Velcro strap which is perfect for little hands to close and open to put on and take of their shoes when needed. These are currently £27.99 on the website, saving you £22. 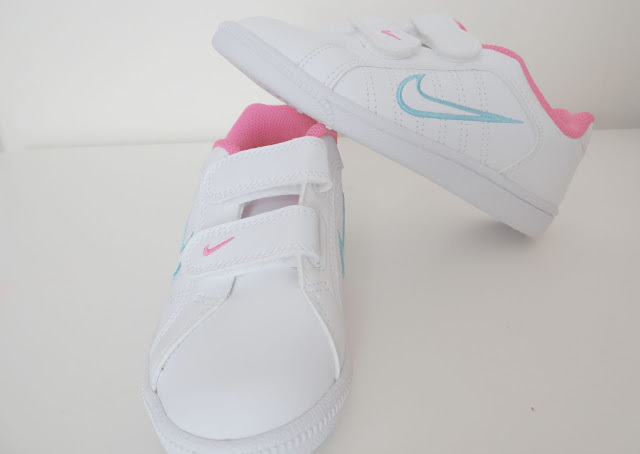 I chose these white Nike trainers for Mia. She has always had these style Nike trainers when she was little and now her feet have out grown them so I thought I would take up the offer by getting her these. She absolutely loves them. She is so fussy over shoes and a big shoe lover so I was pretty glad that she loved the trainers. I am sure it is because of the pink inside of the shoe. 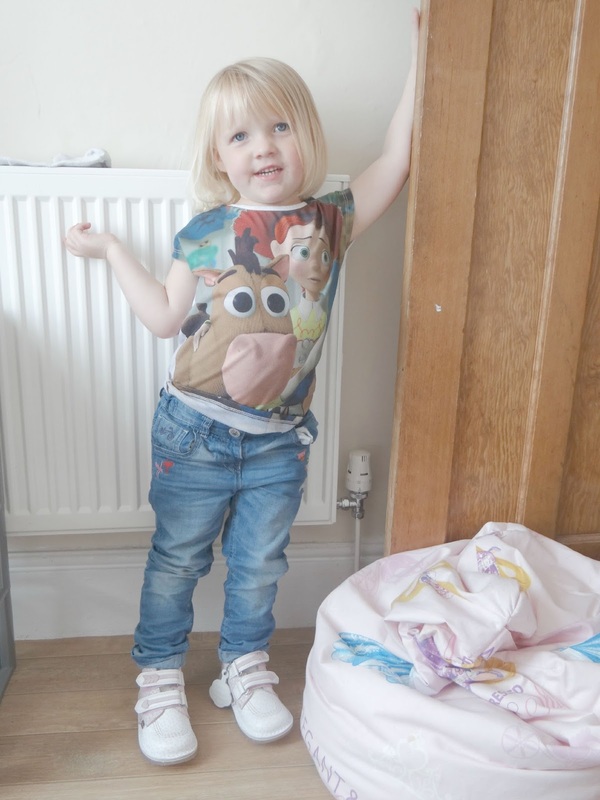 These trainers have also got Velcro straps which is perfect for Mia as she always puts on and takes off her shoes. 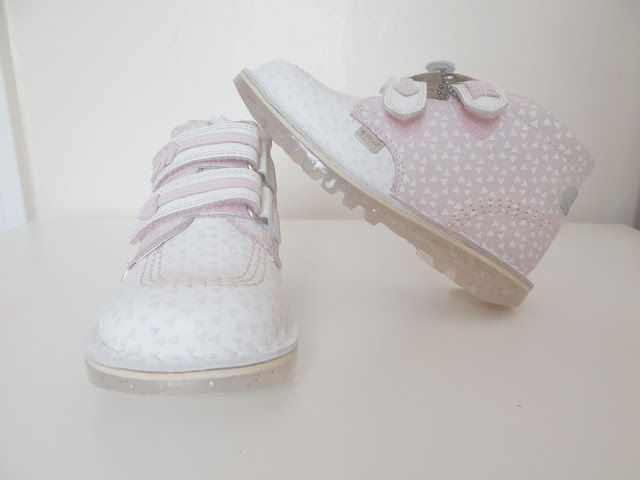 The bac of the shoes are padded which is ideal for little feet. These are currently £24.99 on the website, saving you £5 from the RRP price. GetTheLabel offers you a variety of items such as clothes, back2school clothing, shoes and accessories. * I was sent these items free of charge, in return of an honest review. All words, images and opinions are my own, as always.